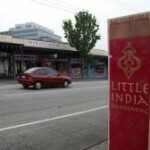 MELBOURNE, 5 June: Little India, Foster Street will soon be greener with a Tree plantation drive scheduled to take place on Sunday 17th and 24th June and Sunday 1st and 8th July. “15 new street trees will be planted between Thomas Street and the station. While the trees are small they will be protected and supported by a metal tree barrier. Existing street trees on the northern side of the street will be retained, but their bases at the footpath will be altered to eliminate tripping hazards and improve root access to rainwater,” says the June 2018 Bulletin of the Indian Cultural Precinct. The Bulletin has been emailed to the media today. Traders may be contacted by the designer in August to discuss how their shop can be part of the changes underway. 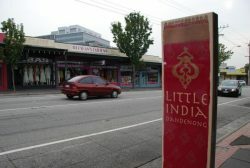 Meanwhile, following a recent review in the Indian Cultural Precinct, a new lower fee of $1 per hour (currently $1.80) will become effective on 1 July. This aims to make on-street parking more convenient for shoppers and visitors. In addition, there has been a review of parking layouts in Foster and Mason Streets. Line marking will be adjusted shortly to create a number of extra on-street parking spaces, the Bulletin reports. The changes in the area are part of the Indian Cultural Precinct Framework which has identified 140 initiatives categorized under the six Precinct Objectives.